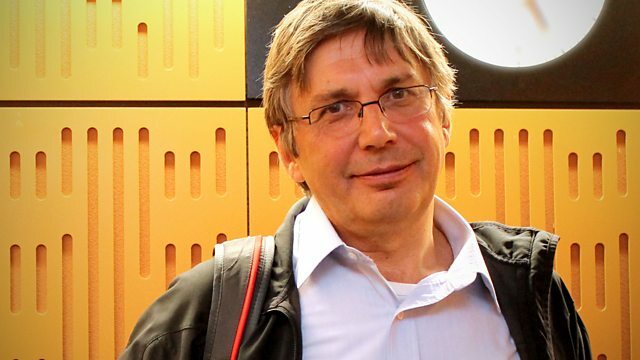 Kirsty Young talks to Nobel Prize-winning physicist Sir Andre Geim. Kirsty Young's castaway is the Nobel Prize-winning physicist, Professor Sir Andre Geim. Born in the Soviet Union, his early years were spent in Sochi with his grandmother, a meteorologist. And it was perhaps her small weather station on the beach that sparked an early interest in science. As a student his intellect was rigorous but his timing was also spot on:"glasnost", the political movement that swept open the Iron Curtain, enabled him to travel and study throughout Europe, finally settling at Manchester University. It was his work developing the substance graphene that won him science's highest prize. Graphene has many exciting properties: it is the thinnest and strongest material ever discovered; using it, electricity can travel a million meters a second; it has unique levels of light absorption and is flexible and stretchable. Of his research he says, "It's like being Sherlock Holmes but being a detective of science. It's trying to find things out using very limited information ... like a hair on your coat, or dirt on your shoes, or some lipstick - the winner is the one who needs the fewest hints to get the answer". Performer: Ted Maksymowicz and his Orchestra. Edith Piaf at The Paris Olympia. The Dark Side of The Moon (2011 Digital Remaster). Performer: Hermann Prey. Performer: London Symphony Orchestra. Performer: Claudio Abbado. Performer: Vienna Philharmonic. Performer: Aram Khachaturian.